Queen of Scots (1515-1560). 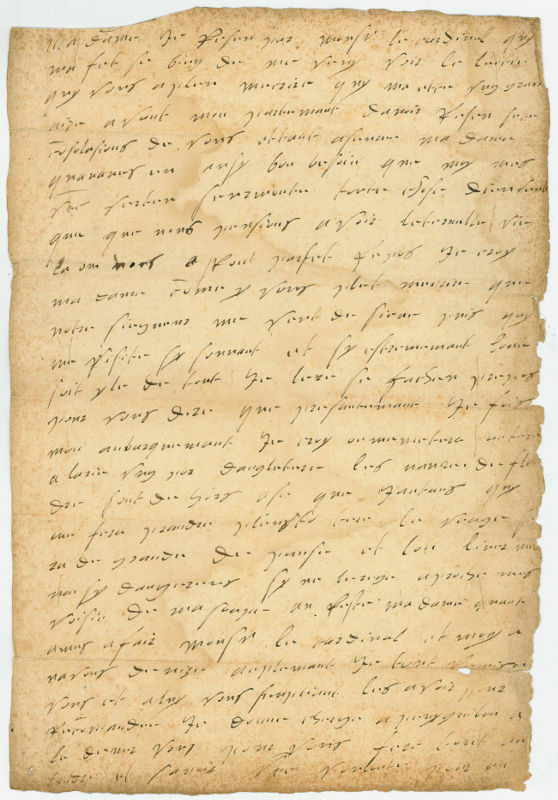 Autograph letter signed ("Marie de Lorrainne"). Dieppe. Folio. 2 pages. To her mother, Antoinette de Bourbon. 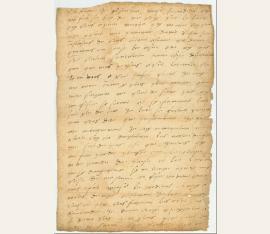 A beautiful and rare letter, written when she was leaving France to return to Scotland. After a year spent in France, she returned to Scotland with her daughter Marie to take over the Regency of the kingdom, entrusted to the count of Arran. Through her brother, the cardinal Charles de Lorraine, she had received a letter of great consolation which her mother had written to him: "[...] presantement je fais mon anbarquement. Je croy on me metera en terre à la Rie [Rye, sur les côtes du Sussex] ung por d'Angleterre. Les navires de Flandre sont dehors a se que j'entens quy me fera prandre plustost terre. Le voyage sera de grande despanse et tou l'iver mais non sy dangereux si ne laisse aprocher mes voisins de ma poupe [...]. Quant à mes afair Mons. le Cardinal et moy an navons devizé anplement j'ai tout remis à vous et à luy [...]". - Some damage to edges; stained..